If you checked your calendar this morning, then you saw that today is the first official day of Autumn. Since I grew up in North Carolina I feel I still have the right to say "happy fall y'all" ;) I personally love the first few weeks of fall. The leaves are changing and the sun is still shining making it a perfect time to enjoy the great outdoors before the cold weather comes. 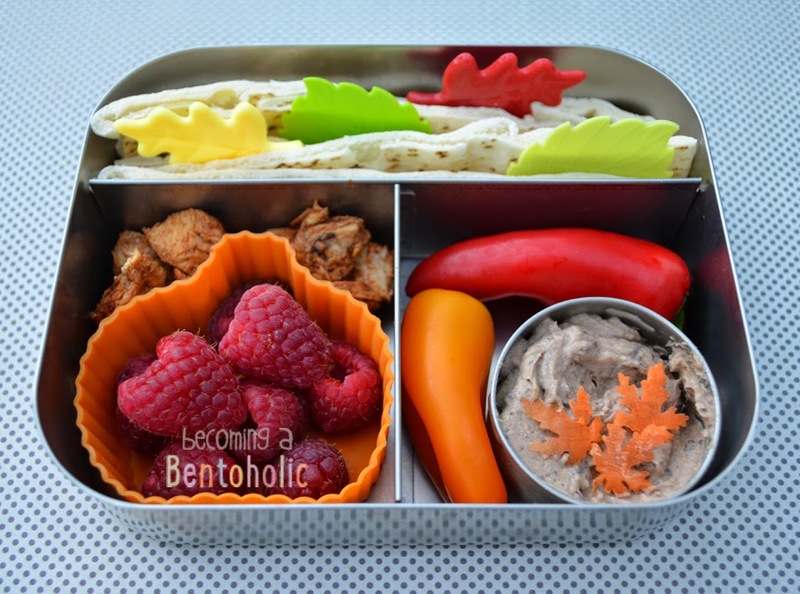 In this bento: Pita bread, chicken, Driscoll's raspberries, sweet peppers, and black bean hummus decorated with thinly sliced carrot leaves. This is beautiful, I LOVE the tiny carrot leaves - so cute!